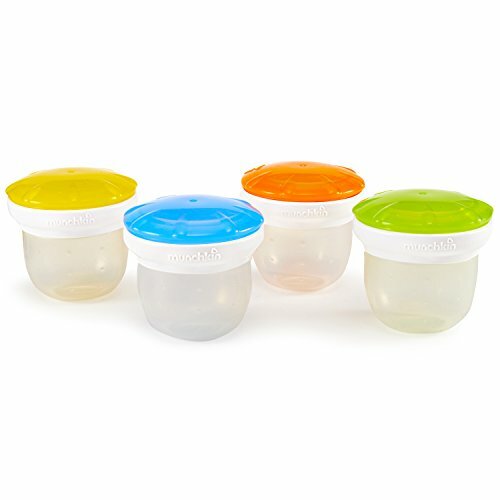 Munchkin's 4 pack silicone cups are a convenient way to store and serve prepared baby food. Each container holds 2 ounces of baby food and is made of durable, food-safe BPA free silicone to easily pop out frozen food. Colored lids help mom remember what type of food is inside. As baby moves onto solids, these cups are perfectly sized for on-the-go snacks, fruits, veggies, hummus or yogurt.